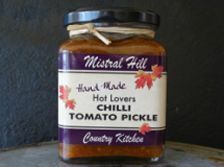 "Taste the difference and discover delicious new flavours with Tenterfield's Mistral Hill Country Kitchen Products"
An ageless favourite with a lovely balance between sweet and sour and just the right amount of mustard. 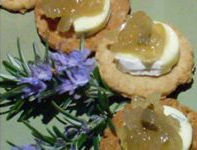 Delicious with corned and smoked meats, or just with your favourite hard cheese on a cracker! Try it with a nice cold beer after a hard day’s work. Store in a cool dark place! 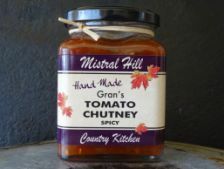 Simply a delicious, spicy (not hot) chutney derived from a very old recipe with the addition of a special blend of spices. Top any hot and cold meats. 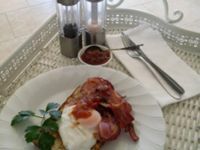 Beautiful on a steak sandwich, poached eggs, quiche, or your next Bacon & Egg Sandwich. 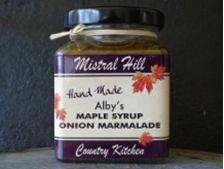 The sweet complexity of pure maple syrup and olive oil harmonise beautifully with the sour complexity of red wine vinegar and fruity white wine. Garlic and rosemary add to the superb flavours in this original onion marmalade. Beautiful on any soft cheese especially soft blue! Try it with friends and a young Semillon wine. This beautiful blend of pistachio nuts and almonds mixed with a carefully selected combination of seeds, simply brings your taste buds alive. 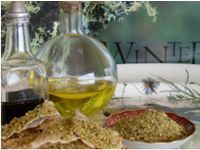 Dunk chunks of your favourite bread into olive oil and an aged balsamic vinegar, then the Dukkah. Marmalade lovers have found their ultimate!! 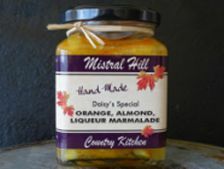 The addition of orange liqueur, the crunch of roasted almonds and the one-off flavour of limes puts Daisy’s special marmalade into a quality class. Beautiful on toasted sour dough bread! Makes a lovely gift or just have it in the fridge ready to go. 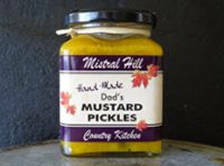 A hot pickle packed with flavour! Try it with your next lamb burger or pizza, with a dollop of yoghurt. Pop it on a cheesy roasted vegetable terrine, Yum! Use it as a base for your next curry, especially lamb. A perfect marinate for your favourite BBQ meats! 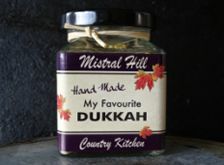 All of Mistral Hill Kitchen Products are available for purchase with all postage calculated on weight. There is a minimum purchase of 6 jars. Please contact us for methods of payment or they can be purchased at the Tenterfield Information Centre.